Blurb: Most of us still dream and hope to find ways out beyond violence and corruption. Using dolmens (single-chambered tombs constructed, dates back to Neolithic period 4000 to 3000 BC), as a metaphor, Dolmens in the Blue Mountain explores the meaning of life and death in the context of migrations of Kerala’s Syrian Christian community, and the struggle for survival of tribal communities in the Western Ghats mountain ranges. The story revolves around the lives of three brothers. One of them migrated to Canada. The second one joins a Delhi based NGO, bogged down by a corrupt and callous system, was forced to quit his job on moral grounds. The third one stayed back in Kerala, but got into conflict with the radicalized tribal community. Will the brothers, inspired by the dolmens, which taught them the meaning of living in harmony with nature, without compromising the resource needs of poor people and future generation, be able to fulfill their dreams and aspirations? 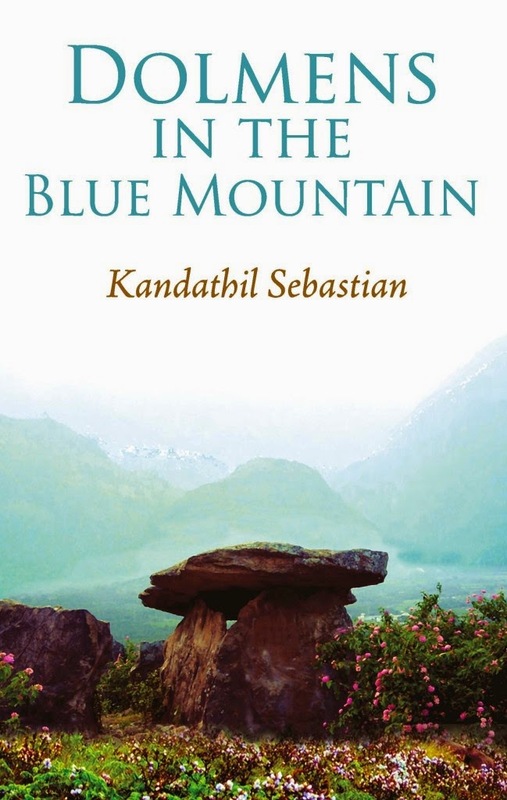 Verdict: ‘Dolmens in the Blue Mountain’ is the first book of the mountain Trilogy by Dr. Kandathil Sebastian. This piece of fiction revolves around the growth of Kerala, the life of tribal communities, the political growth and the Maoist growth. This book has a covered a lot starting from the early days in Kerala around 1950 and then it moved towards the turning process described in well-crafted words. I loved the cover of the book which has the picture of a Dolmen which is the essence of this story. I was a bit disappointed with the chapter names but I loved the way the author has divided the story in beautiful chapters. I felt few names of those chapters could have been given in an interesting way. The storyline of the book is wonderful. As I said earlier it has covered a vast area and will give readers an experience of witnessing the change from 1950 to 2013. As the story moves on and the author concentrates on describing the story by those three brothers, the story starts to pick its speed. The author has very efficiently narrated every part of the story. In this time from past to present how this politics makes his way to our lives, how people misuses the beauty of nature, how this effects the tribal communities and how Maoists are born, is the main prospect of the book. The author also gives a hint of the current corrupt system by describing a few incidents which one of the protagonist have to face in Delhi. The story ends in a good note, giving everything the exact needed climax. After completing the whole book I felt, the author have a wonderful command on the language but lacks the emotional touch. There were a lot of scenes where the author could have touched the emotional chord with his narrating style but he couldn’t. A few editing errors were also spotted which can be ignored. Final Words: I appreciate the author for jotting down such a wonderful story by showing various sides of our society from past to present. Readers will escalate the author for the amount of research he has done for this story. Overall a nice read.